Gould lost in Round 2 again! Last session was a fantasic session, showing brilliant attacking snooker to fans. Trump widely leads 11-5, he just needs two more frames to win. 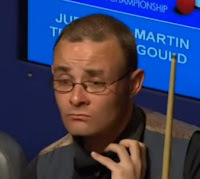 Both players have chance in the first frame, but Gould eventually wins the scrappy frame. Trump holds the match point by knocks a 69 in the second frame, leads 12-6. Trump goes on to win the match 13-6 with 53. Trump take advantages in safety in the match, Gould usually leaves him good chances. Gould is a good player but still needs to improve his safety and consititency. Congrats Trump for entering the quarter-final of WC! Hawkins played solidly yesterday, leads Allen 5-3. He also opens the second session quite well, winning the first two frames to lead 7-3. In the 11th frame, Allen wins on the black, 4-7 behind Hawkins. 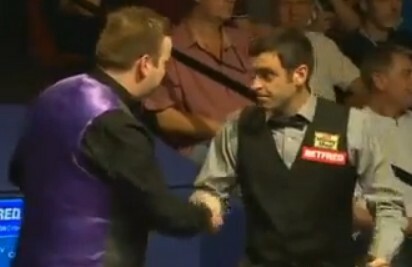 Allen once again narrows the gap to two frames difference 5-7 before mid session. 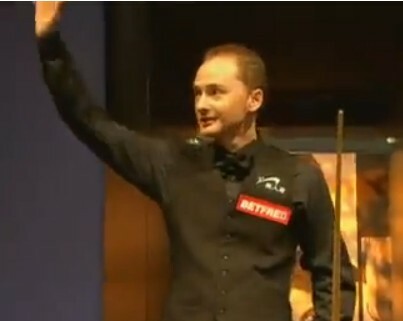 After mid session, he knocks a 79 and 114 to level the match, 7-7. Allen is on fired! Allen ends the session to lead 9-7 from 3-7 down. The match tighted at 8-8 before last session starts. Carter wins the opening frame but Dotty wins the next three to lead 11-9 with 95, 93 before mid-interval. Allen completed a full comeback in the morning, leads Hawkins 9-7. Each of them wins two more frames before mid session, Allen still keeps a 11-9 lead over Hawkins. After the interval, Allen wins the bery important frame to lead 12-9, he is just one frame away from victory. 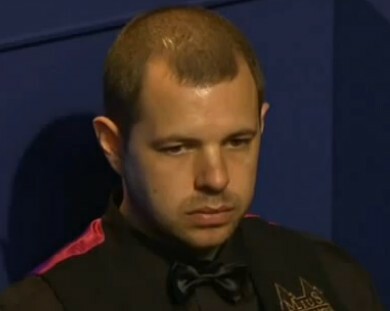 I feel so sorry for Stephen, only wins a frame and then loses all seven afterwards :-( Hendry wins the second frame with 114 after Selby knocks a 125... Selby is superb tonight, having breaks of 125, 108, 98, 129 and 51 to hold a 7-1 lead over Hendry. It is not a big suprise for Hendry fans because Hendry lost to Selby in the same round of WC last year... Can Stephen make a comeback?